This page contains the list of souvenirs obtainable in Super Mario Odyssey. The list also contains information on how to get each souvenir in the game. A souvenir is an item that can be purchased exclusively in a Crazy Cap shop for each country. 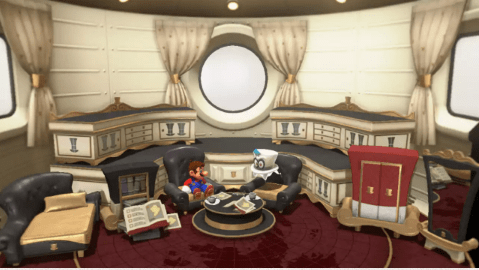 These souvenirs are used to decorate the interior of The Odyssey, Mario’s airship. Besides the souvenirs, there are also the stickers which decorate the body of The Odyssey. The souvenirs serve as a reminder for each kingdom that you’ve visited in the game.